Cadillac is renowned for comfort and features we have come to expect from a luxury car. When you drive a Cadillac, it’s more than just going from point A to point B. Driving a Cadillac is an experienced that just can’t be matched by other vehicles. When you are having a problem with your Cadillac, you don’t want to take your vehicle to just any shop. You want a shop that has quality professionals who are highly experienced and know your vehicle inside and out. That’s why Coopers Auto Repair Specialists is the trusted choice for all of your Cadillac repair and service needs. We know you care about your Cadillac, but we also know that unexpected problems can happen with your vehicle. Our shop performs nearly every imaginable service on Cadillacs in the Tacoma, WA area, from repairing major damage to routine maintenance. So whether its a major fix or something as small as an oil change, you can rest assured your cadillac is in the best hands. Our technicians operate at the highest level of integrity, which means we will recommend and perform only necessary repairs and service on your Cadillac. 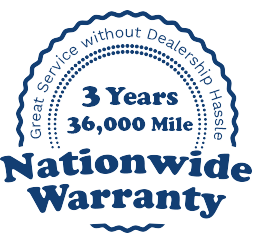 We value you as a customer and want to establish a long term relationship with you and your car which is why the caliber of our staff and facility is a direct reflection of our commitment to you. Bringing your Cadillac to our shop means that your vehicle will leave in the best condition possible. We will treat your Cadillac with the respect and care it deserves, keeping your car on the road for years to come. We strive to provide the best service possible and maintain 100% customer satisfaction in all our Cadillac repairs and services. When it comes to performing repairs, our technicians have all the appropriate tools and advanced technology to ensure we get the job done right. We understand auto repair can be stressful, so we work very hard to make sure your auto repair and maintenance is as easy and convenient as possible. Our certified technicians are here to help get your Cadillac out of the shop and back on the road as quickly and safely as possible. We know you depend on your vehicle, so don’t make the mistake of taking your Cadillac to just any shop. Enjoy the peace of mind that comes from knowing you’ve taken your Cadillac to an auto shop that has a proven track record of working on vehicles just like yours. Trust Coopers Auto Repair Specialists for all of your Cadillac repair and service needs.